We are offering a wide range of Digital Panel Meters. Operating Temperature Range: -5 to 60 Degree C.
We are engaged in providing a wide range of Digital Panel Meter to our clients. Proton Power Control Pvt Ltd. Accuracy: +/- 0.2% of F. S.
Humidity: 35 ~ 85 % R.H. Being the foremost names of the industry, we are engaged in providing Digital Panel Meter to our honored patrons. Owing to high demand, this product is available in the market in varied configurations. 1. Supply Voltage: 230V AC +/-10%, 50 Hz 110 V AC +1-10% Other - please refer to us. 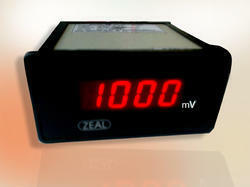 We are one of the leading exporters and importers of Digital Panel Meter which are used for measuring electric currents. 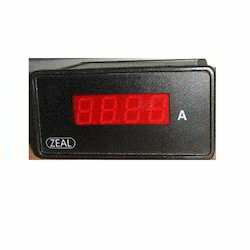 To furnish the varied requirements of our customers in best possible way, we are engaged in offering an extensive series of Digital Panel Meters. It is a DPM that measures ALL parameters of the UPS, displays the measured parameters and provide them on isolated serial port.